One of the many waterfalls along Kitchen Creek in Ganoga Glen. 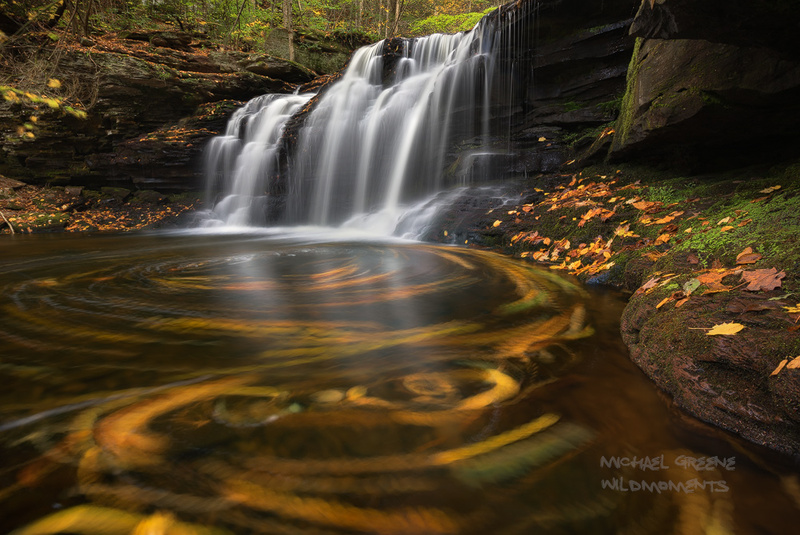 Ricketts Glen State Park is Pennsylvania's most famous park. A long shutter speed was used to achieve the effect of swirling autumn leaves. This is a limited edition print of 10. Photo © copyright by Michael Greene.